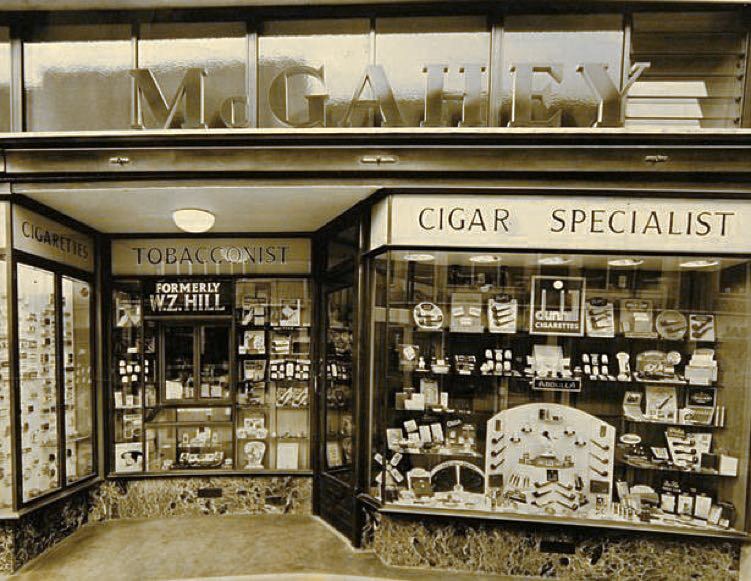 Exeter Memories - McGahey's Tobacconists. Exeter's High Street has acquired a reputation for becoming a clone street, populated by national brands, and looking much like any other street in the country. 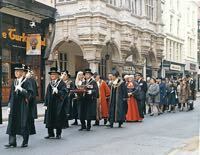 However, one business stands out, that has been a part of Exeter’s High Street shopping experience since 1880. 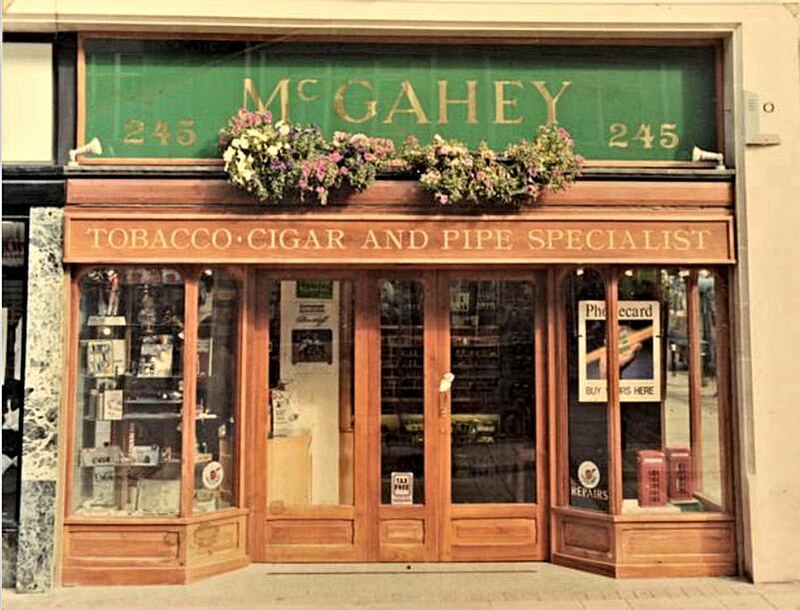 McGahey’s the tobacconists is a family business that has seen four generations of the McGahey family at the helm. 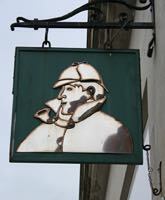 Edgar McGahey who was the son of Michael McGahey, was associated with the solicitors, Dunn and Baker in Castle Street. Michael was born in 1873 at Portsea, Hampshire and grew up in Stepcote Hill, Exeter. 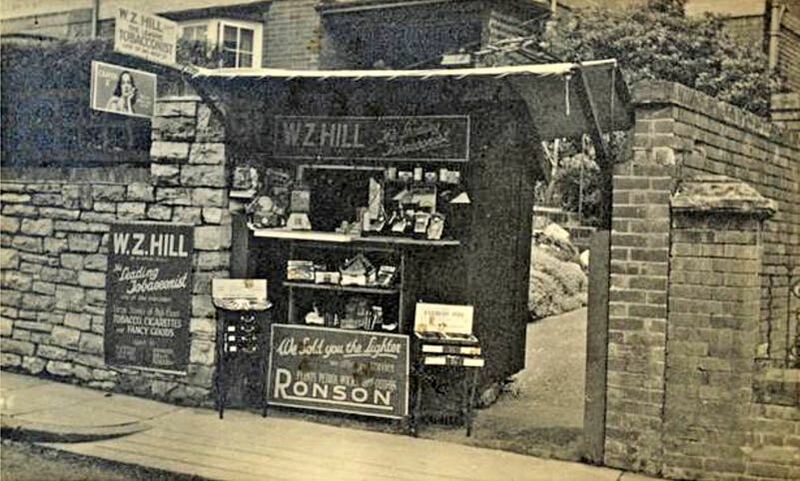 Two of his sons, Robert and Arthur also became partners in Dunn and Baker, but Edgar took a more independent path, by purchasing the tobacco retailers William Zeal Hill, who traded from 249 High Street. There had been a tobacconist on the site from 1880, when Frank J Halfyard opened his business. Edgar retained the old name for a while, thinking his customers would find McGahey difficult to pronounce. Edgar McGahey saw the business through the war years until he had to relocate to a shed, as a kiosk, at the bottom of his garden in Barnfield Road, after the shop in the High Street was lost in the May 1942 blitz. 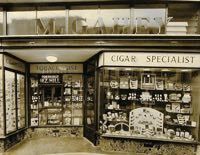 The business returned to High Street, almost on the same site as the former shop, in 1955, the year in which Edgar McGahey died. His son, Michael, who started working for is father in 1942, steered the business through the next period of its history. 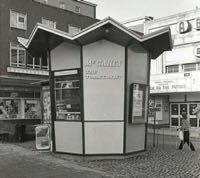 The shop at 245 High Street started to specialise, while the company expanded into prominently placed kiosks in London Inn Square, Princesshay and Heavitree. In 1973, Michael’s son Martin joined the firm, and father and son continued the tradition of stocking a wide range of products for the smoker. In March 1988 they carried out a complete refit of 245 High Street–striking a balance between a conventional and modern shop. By 1992, they were the only independent retailer in the High Street still remaining. Michael McGahey retired in February 1992 and died in 2005. Martin took over, and in 1996 the business had to leave the premises for a temporary site in Princesshay, for a few months, as the landlord undertook a redevelopment plan. After completion of the work they moved back to the same site but on a corner location. In July 2007, with legislation looming, that forbid smoking in work premises, they opened a street café on the site, where customers can enjoy an Espresso and smoke their purchases in the open air. Paul McGahey, Martin’s son, joined the business in 2009. In October 2018 it was announced that the McGahey's tobacco shop and coffee outlet in the High Street was to close, but will remain trading on the internet from premises in Topsham, from their Route 2 Cafe premises. It is the last independent trader in the High Street. It is many years since Exeter High Street had a diverse range of local, independent stores, as the cult of the big chain has taken over. Ironically, some of the national chains have also found trading difficult, losing out to the internet. Maybe in the future, the High Street will welcome back smaller, independent traders, although nothing is certain. 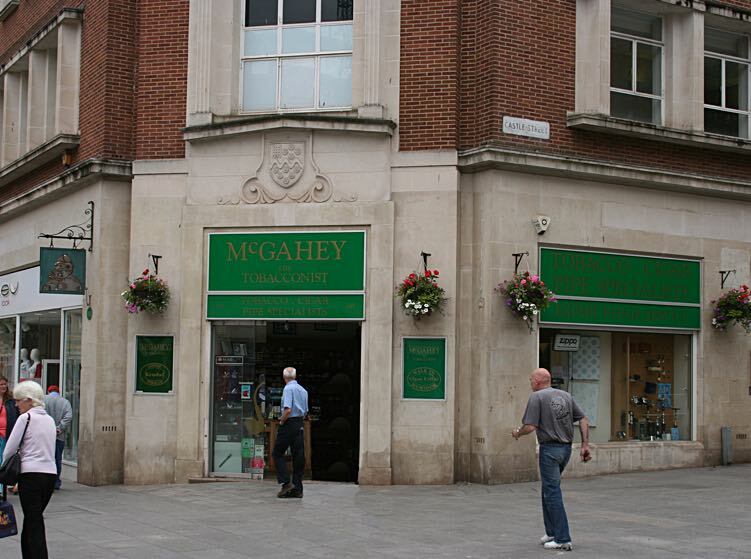 McGaheys closed their High Street shop on 8 March 2019. Martin McGahey said to the Express and Echo at the time "I feel like I'm in a balloon at the moment, but I expect when I hand over the keys, I'll be a squidgy mess on the floor." Sources - McGahey's, Kelly's Directory, Express and Echo, our4father.com. 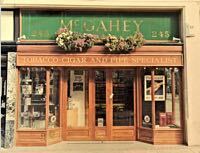 The McGaheys shop at 245 High Street after the refit. Circa 1988. A temporary McGahey's stall on Barnfield Road in the war years. The shop on the corner of High Street and Castle Street. 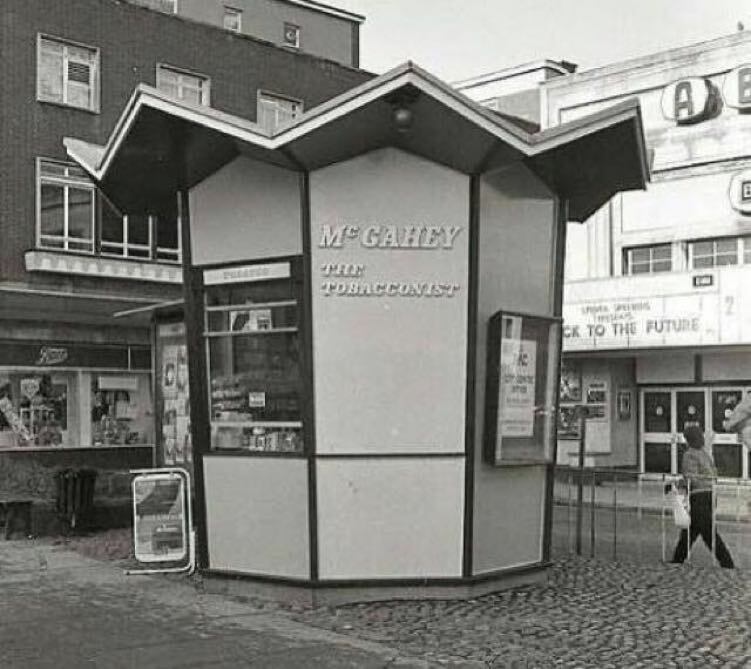 The famous McGaheys kiosk in London Inn Square. The shop at 245 High Street. They moved out of these premises in 1996. 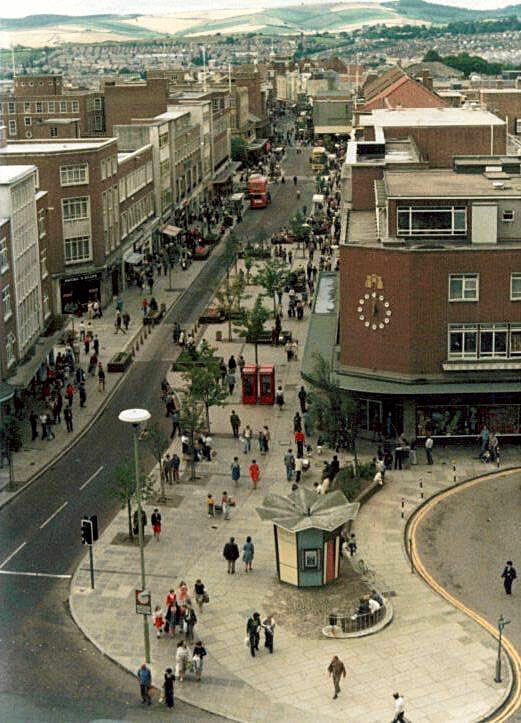 The kiosk was at the front of Boots and the ABC. 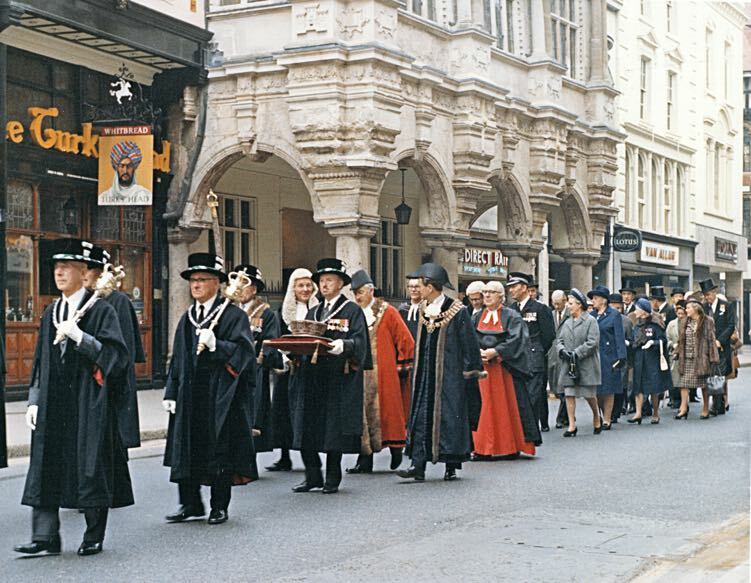 The procession to the Cathedral after the last Assizes in 1971. As Sheriff, Michael McGahey is centre right with the black robe and chains.